The Podcast all about hypnosis, transformation, & healing. I love hypnosis! I launched my podcast to talk about the research behind it, to interview the professionals who do it and to talk to people who have had hypnosis to find out what happened in their lives after hypnosis – Was it effective? How did their lives change? How did they transform? I want to know! After two years and two seasons of the podcasts, we’re still talking about hypnosis but also expanding to other topics of transformation. How do people heal? What, who, or where helps them? We want to know! Included are book reviews as well as some free hypnosis. All of that is peppered with great questions and stories along the way! Sign up for podcast updates and get a Free Hypnosis by Joining the Newsletter! 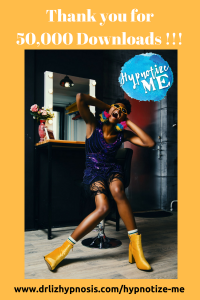 05/2018: Hypnotize Me just went past 50,000 downloads! Thank you to everyone who listens, shares, tweets, re-tweets, and subscribes!!! 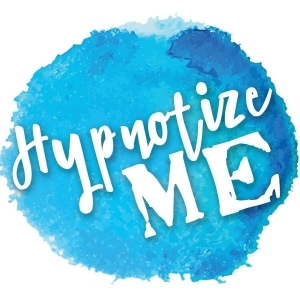 Hypnotize Me is now on Spotify! It’s even easier to listen! Spotify is a free streaming music service that started offering podcasts late in 2017. Launch Video 🙂 from 2016! I manage to work in both fairy dust and the word “magic” in this video! I’m blowing some fairy dust your way too! Enjoy!